While looking over my old blog posts, I found my two “state of Real Software” posts… “REAL Software, the opposite of love is not hate, it is indifference.” and “One year later: Thinking outside the cube.” Those were written in February of 2010 & February of 2011, respectively. REAL Software & REAL Studio are now Xojo, and the cube is now a lime. We finally have Cocoa builds. Yay! The IDE & debugging is now free. 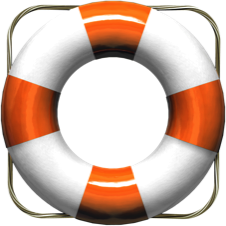 One must purchase options to compile stand-alone executables: Desktop apps, Web apps, database connections, and console apps. This year (2013) they put on a conference in Orlando, and they are gearing up for a conference in Las Vegas in (2014). In 2012 I renewed my license for a year because a consulting client asked me to have the latest version. My license runs out next month. For those wanting to expand their toolset, I started a new blog series From Xojo to Objective C. There I show the reader how to do something in Xojo & accomplish the same thing with Xcode & Objective C.
I updated Elastic Window for Xojo & removed the encrypted option. I introduced Elastic Web Page for Xojo. Geoff didn’t like my new blog series From Xojo to Objective C because I opined that if one didn’t need the cross-platform capabilities of Xojo, they should use the platform’s native development environment (be it Xcode or Visual Studio). So Elastic Window for Xojo was unceremoniously booted from their 3rd party store. In fact, I was told that if I retracted that statement, I could once again give them 30% a good chunk of my profits and return to their store. What a deal. I continue to offer consulting services for Xojo. Feel free to contact me. I’ve updated Biblicious, my 5-star rated Bible trivia game show app, for iOS 7. I’ve updated the bookmark your shopping app, Storemarks, for iOS 7. Like Westminster chimes for your iPhone? I’ve finally released ChimeX for iOS 7. 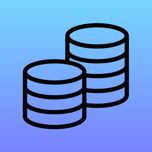 For iPad and iOS 7, I’ve released a SQLite database manager called DBMan SQLite. This entry was posted in Apple / Macintosh, iOS, Pariahware, Programming, Tech on October 21, 2013 by Christian.